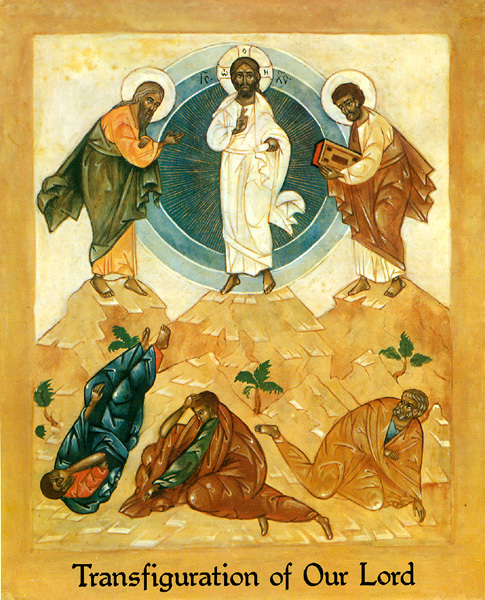 The story of the Transfiguration is one that we have recently heard in mass readings. It’s the story of how Jesus took three of His followers up Mt. Tabor and revealed His true Godly nature in all its glory. Of special note is the appearance of two long-dead heroes of the Old Testament, Moses and Elijah. Why these two men out of all the amazing heroes of the Bible? Why not Adam and Eve to witness the undoing of their mistake? Why not Abraham or David, to see the fulfillment of God’s promises to them about one of their decedents bringing blessings to the whole world? The list of possibilities goes on, but the answer is that there were very specific reasons for the presence of these two figures. Their presence physically demonstrated two important elements of who Jesus is. Moses, to whom God gave the Ten Commandments, represented the Law of God. Elijah, one of the greatest and earliest prophets, represented all of the prophets through whom God spoke to Israel — who did their best to guide the people away from sin. They were both important figures for the Jewish people. Both had glimpses of God in encounters with Him in their lives, but now could see the full glory of God revealed in the person of Jesus. Also, symbolically, they were passing the torch to Jesus, the fulfillment of all they had served God for. Moses received and communicated the Law, but Jesus is the Law, the word made flesh. Elijah and the prophets spoke the word of God to guide His people to salvation. But Jesus is salvation, through His teaching of the new covenant, and more importantly through His sacrifice on the cross that redeemed all humanity. Through the transfiguration, Jesus demonstrated that Moses and Elijah are transfigured and ultimately fulfilled — like everyone and everything in the Old Testament — in the person of Jesus Christ, the Son of God.